Calling the class of 2018! Graduating seniors in the Central Valley can take part in the 25th Annual African American High School Recognition Ceremony. It's June 3, 2018, at the Save Mart Center in North Fresno. Members of the San Joaquin Alumnae chapter of Delta Sigma Theta are looking for students to sign up for the ceremony. 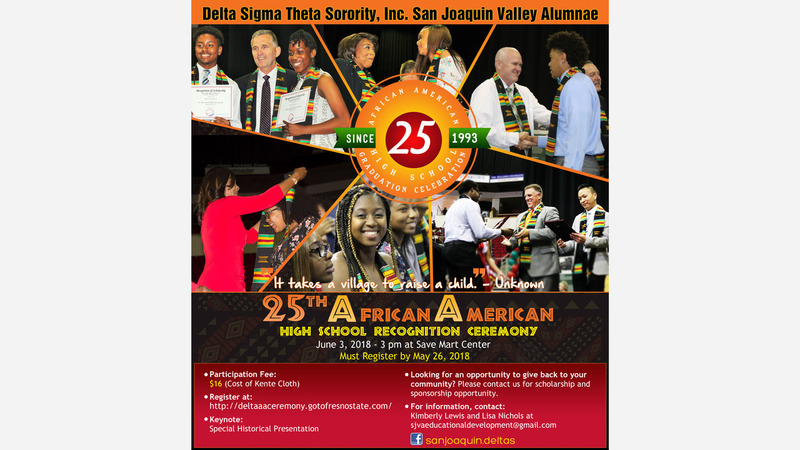 The San Joaquin Deltas have a goal of raising $25,000 in scholarships to mark the 25th ceremony.